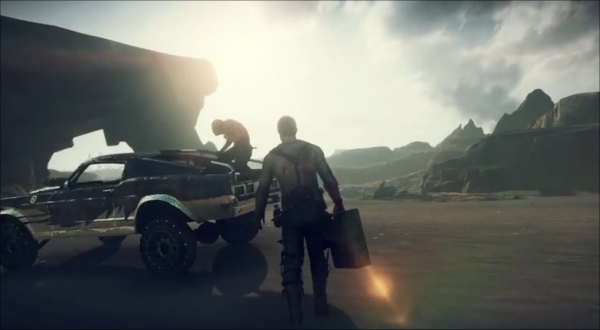 Avalanche Studios and Warner Bros Entertainment recently released a major gameplay trailer for Mad Max. The thing is, there are some major takeaways from the trailer worth discussing. You can check out the full trailer right here if you haven't seen it already. 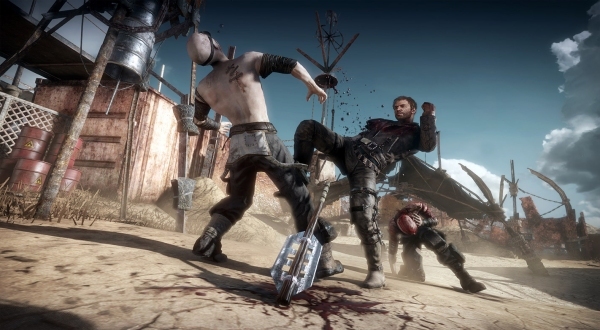 Mad Max is due for release this September for the Xbox One, PS4 and PC. It's been a closely guarded game moving throughout the development phase, with very little information or gameplay let loose to the public. 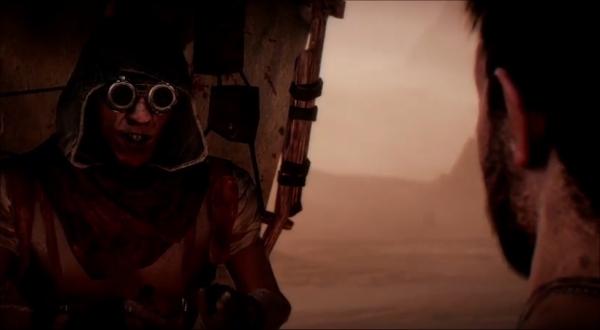 But finally, after waiting quite some time for something sizable to chew on, gamers were given plenty to talk about with the new gameplay trailer and it's time to cover the five most exciting things that were featured in the Mad Max video. One of the big features in the upcoming open-world action title is the ability to customize your ride. Originally, gamers were given the impression that the Magnum Opus – the name of Max's car in this particular game – would be a pre-designated, pre-assigned vehicle that you got to customize throughout the game. However, the trailer reveals that at the very start of the game players will have to choose exactly what the base of their car will look like from a variety of templates. This is really cool because it means that you're not just locked into just one particular kind of vehicle for the game. 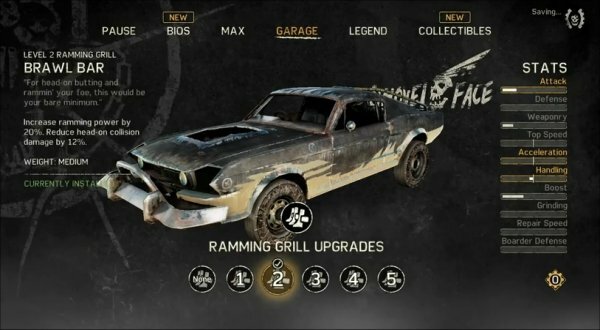 The ability to modify different parts on the car and upgrade various features adds a whole new meta-game to Mad Max that could keep gamers coming back for more. This feature here is the one that really stood out to me. Being able to scour the post-apocalyptic wasteland for goods and gear is what could be the really defining, shining moment of Mad Max. The trailer showcases Max pulling scrap metal off objects and surveying abandoned vehicles to see what can be scrounged up from the twisted metal. The gear Max finds out the wasteland can be used to improve your ride or upgrade your gear. The really neat part about this feature is that it could tempt gamers to start venturing out and about into the deepest recesses of the game's map. This could add a ton of replayability to the game, similar to Skyrim where everyone was tempted to go back to find something new or special hidden in a dark cave somewhere. The idea that you can throw your lot in with various survival groups scattered throughout the game world is a neat addition. It's very rare in games – outside of The Elder Scrolls titles, of course – that you're given the option to align with a specific group and have it make a difference. It was possible to perform different missions for different factions in Just Cause 2 but the difference maker in aligning with one group or the other was usually fairly negligible. 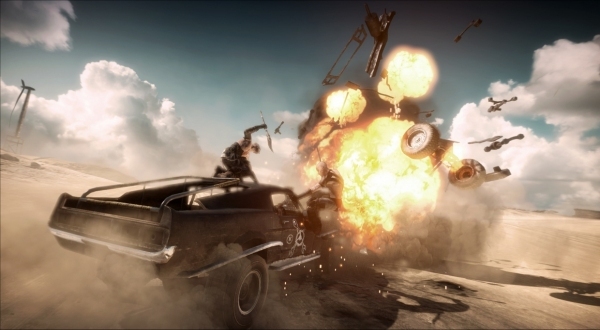 Avalanche Studios seems to be intent on making it where choices made in Mad Max will carry some weight with them when joining some factions, such as being able to increase and fortify the stronghold to help the people fend themselves off from bandits. It feels like throwing a punch that means something in games these days – outside of a dedicated fighting game – is a rarity. It's nice to see that Max can just walk up to a baddie and a lay a thick right hand across their jaw and watch them crumple to the ground with all the grace of a sack of potatoes being dropped off the back of a truck. The real highlight in the melee combat is that Max can upgrade his skills to dish out more damage; RPG-style. We also find out that Max has a number of disposal melee weapons that can be forged or commandeered one way or another. It's nice to see that the fighting outside of the vehicular combat is as fleshed out as it is in the upcoming open-world action title. It's a nice departure from the gun-based combat in Avalanche Studios' Just Cause games. This was the one feature that really stood out to me. Max, perched atop a hill, scouting down into the dusty desert roads and spotting a small convoy of bandits in the distant was an exciting throwback to the character behavior and themes in George Miller's The Road Warrior. Gamers having the option to scout out rival groups, plan their attack and then drive down to take them out and pilfer their gear is a neat way to keep the replay values intact. Anyone who wants to go about their survival in the devious way of stalking their vehicular prey from a distance actually has the option to do so in Mad Max. I also imagine these kind of meta-moments will make for great viewing in Let's Play videos down the road.